available only for 12 months, from September 1st 2016. "60 years of outstanding Poul Kjærholm design are worth celebrating. This autumn, Fritz Hansen will salute the Danish carpenter and his work by uniting the PK22 and PK61 in an exclusive anniversary set. The materials chosen for this limited edition further enhance the signature clean lines of Kjærholm’s timeless design. While staying true to the original design and craftsmanship, Fritz Hansen is introducing new, advanced materials reflective of Kjærholm’s approach to creating beautiful, enduring furniture. The chair and table’s perfectly aligned geometric lines make them a stunning couple certain to age with grace. A distinct stamp will mark each anniversary piece." The PK22 anno 2016 – lounge elegance features long lines in darkened steel and soft nubuck leather in rich, earthy tones and with clean stitches. The PK22 anno 2016 is crafted in precisely the way Kjærholm intended, but for the anniversary set, Fritz Hansen has enhanced the steel with an electroplated anthracite finish. The new look adds a superior touch to the furniture while resulting in a less industrial appearance. The luxurious Royal nubuck leather, with its subtle texture and velvet-like feel, will age beautifully, becoming smoother, shinier and lighter in colour as the years pass by. 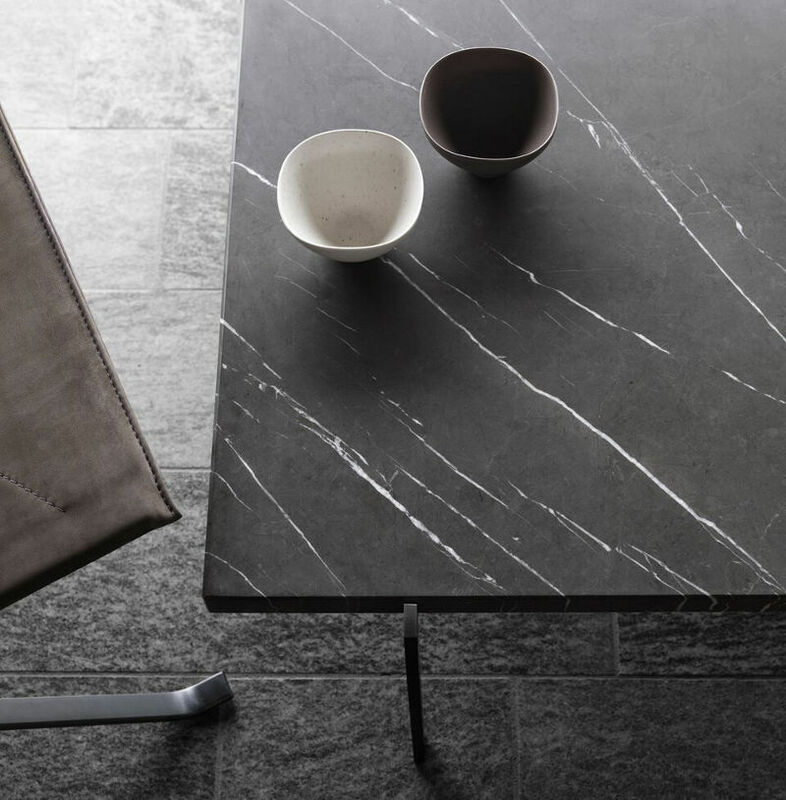 With the PK61 anno 2016 – marble magnificence, Fritz Hansen has interpreted the PK61 coffee table (created by Kjærholm to complement the PK22 lounge chair), adding an electroplated anthracite surface to the steel and combining it with a tabletop in Petra marble – an elegant, deep-grey marble with white veining – for a modern look. The much-coveted Petra marble originates from ancient Persia is very easy to maintain thanks to its a durable, hard and very low-absorption composition. The two pieces will be available from September 1st 2016. "The work of Danish furniture designer and carpenter Poul Kjærholm – considered one of modern architecture’s most important pioneers alongside Le Corbusier and Ludwig Mies van der Rohe – has been valued and admired for the past 60 years. His uncompromising approach to his work in terms of materials and form resulted in years of struggle and disappointments until 1955, when he finally discovered his ideal material: steel. In 1956, he also found the ideal partner in the furniture merchant Ejvind Kold Christensen, who shared Kjærholm’s vision and standards. Their first collection, introduced later that year, included two pieces, the PK22 and the PK61, which marked Kjærholm’s artistic and technical breakthrough on the international scene. 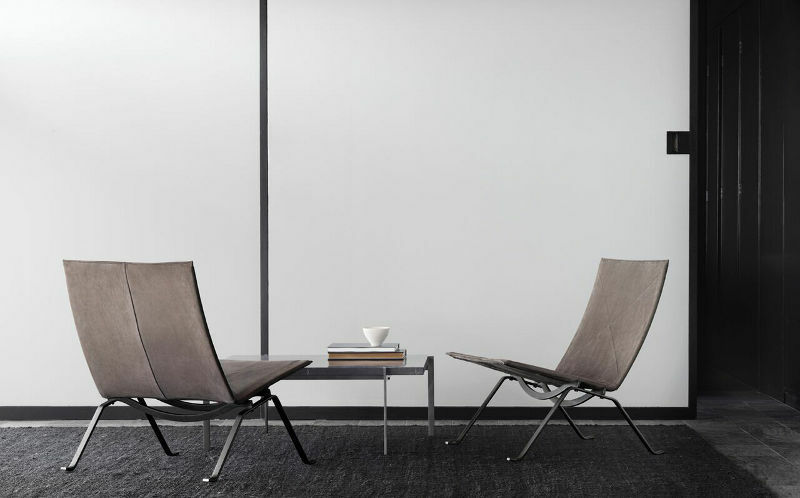 The PK22 lounge chair in particular became an immediate success both commercially and amongst critics, earning the Grand Prix at the 1957 XI Triennale di Milano. The following year, Kjærholm himself won the Lunning Prize, the most prestigious award for design and applied art in Scandinavia, largely because of the craftsmanship and design of the PK22. Known for his “less is more” design legacy, Kjærholm built his career on translating simplicity and his love of nature into outstanding and unique furniture works. Kjærholm’s iconic lines are as relevant today as 60 years ago and his furniture can be found in the permanent exhibitions of the MoMA in New York and the V&A Museum in London, as well as in many other prominent places around the world."